"Erinn from The Bettina Reid Group was an amazing realtor so patient and helpful. This was our first home purchase and we knew nothing about nothing! She explained the process and was there every step of the way supporting us & answering all of our hundreds of questions! Buying a home is so stressful, Erinn made us feel at ease and understood what we were going through and was available to talk to anytime. We love love love our new home and could not have done it without Erinn from The Bettina Reid Group!! 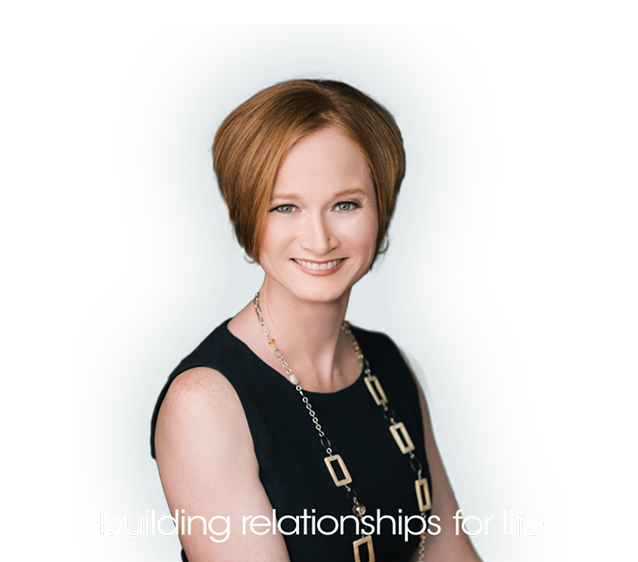 "I can't speak highly enough of my experience with Bettina Reid! There were two transactions Bettina assisted us with in the summer of 2016. 1. First, she sold our townhouse in Cloverdale in less than 5 days!!! 2. Bettina also tried to sell our condo at The Grove in Langley. But due to personal circumstances, we decided to take it off the market. Nevertheless, I must commend Bettina for the challenges she had to put up with while preparing to sell our condo as she had to deal with our uncooperative tenants. And, most impressive was Bettina's dedication and patience while preparing / home staging our condo as it was seriously in an unlivable state due to our tenants' unsanitary living conditions. Throughout the past several months, Bettina has been there every step of the way. She has always answered every call or email, no matter what time of day or evening it was. Bettina was never forceful in any way! She walked me through every step of the negotiations. Bettina's professionalism, knowledge, honesty, and hard work ethic are much respected and appreciated. I would highly recommend Bettina to anyone that is planning to sell their home. Thanks again to Bettina for being such a great realtor to work with!!!!!!" "With both our sale and purchase we recieved top notch service! This group of ladies take the time to help their clients every step of the way! You have earned clients for life! Thank you again for help us get into our new family home! Extremely impressed with all the ladies that make up The Bettina Reid Group! They are professional and informative! Would not hesitate to list/buy with them again and recommend to friends/family/clients!" Absolutely chose the right broker.  I would recommend the Bettina Reid Group to my family and friends with no hesitation. Under extreme circumstances I was so impressed in the way everything was done with so much expertise." "I have nothing but good things to say about the Bettina Reid Group! Our real estate agent Erinn Mate went above and beyond to ensure we got a home that we're happy with and at a price that works for us. She was supportive every step of the way and I honestly don't think we would have gotten the place we did without her help. She was friendly, approachable, and really listened to us to help us find exactly what we were looking for. Thank you Erinn and the Bettina Reid Group!" "The Bettina Reid Group made me feel really comfortable with the process. I was really impressed with their friendliness and professionalism, and I got great really great results with both the sale of my place and the purchase of my new home." "Kara Berman with the Bettina Reid group was excellent to work with . I was in a time crunch to find a place and she helped me to get what i wanted in the time i needed. Thank you for taking some stress out of a stressful time." "We want to thank-you for all you did for us. We found you real, down to earth, and honest and most of all, the warmth you shared with us put us totally at ease during the whole process. Thank you so much Bettina, Kara and Erinn, you all rock!" "This is our second time working with the Bettina Reid Group. We chose to work with her again as she made us feel comfortable and was very accommodating to our wishes with the process. Right to the very end the process and stress of selling our home was greatly lessened. A+ all around! Thank you Bettina, when we move back to the Fraser Valley, we'll be sure to enlist your services for a third time." "Bettina and Erinn were amazing throughout our whole selling and buying process. They were so patient and understanding of what we were looking for, never gave up on the tricky sell of our mobile home, and took us to many houses until we finally found the right one (that would accept our offer!). We are loving our new house! They add such a personal touch, and we will definitely work with them again in the future." "I had such an amazing experience with the Bettina Ried Group when buying my home. My husband and I started to look for a home at the time the market started to get crazy. The Bettina Ried group was there to help us through the crazy ride of emotions. Relator Kara was exceptional at helping and advising us through the process. When we go to sell and look for our next home there will be no hesitation we will be using them again for sure!!!!" "Working with the Bettina Reid group was an excellent experience. Professional, respectful and diligent they did exactly as we discussed and my apartment condo was sold at full asking within a few weeks. Honesty is important to me and I feel that this team of hardworking professionals exudes that characteristic. I would definitely recommend Bettina and her associates both for selling and for buying." "The Bettina Reid Group provided professional guidance throughout the selling and buying process. There were some trying times as it took longer to sell than we anticipated. In the end it all worked out very well and we will definitely use The Bettina Group when we are ready to do this again. We are very happy in our new home and are very grateful to The Bettina Reid Group for assisting us in getting here. Very professional!" "Erinn Mate Was very professional. She went out of her way to help us find a new home, she was also able to convince our sellers to let us look at our new home a day before the house was even on the market. Erinn Mate will go out of her way for any home buyer or seller and we will recommend her to anyone. My wife and I were also really impressed with the way Erinn cared about the home we ere purchasing. She was at our home with the inspector and reviewed everything. She talked to our new neighbors about the neighborhood. Based on the Home inspection she even went back to the sellers and got us some money back on the sale of the house. My wife and I are absolutely amazed and grateful for the job Erinn has done for us and we also would like to acknowledge that the Bettina Reid Group is an excellent choice for any home buyer or seller. We will be using them again in the future. Thanks again for everything." "I would highly recommend the Bettina Reid Group. Bettina and her team members were kind, caring, professional and efficient in all aspects of the sale of my home. This transaction was incredibly smooth. I am very pleased with e outcome and am equity happy that I have found my Realtor for life." "Extremely professional and considerate of our needs - particularly with timelines for showings." "It was really a pleasure working with Bettina and her team. They made the whole process of selling and buying our new house really easy and their attention to detail and knowledge of the market and our needs were really impressive. Bettina and Erinn were really patient, showed us many houses and worked really hard so that we could buy the best house that really met our needs and taste. Bettina, Erinn, we are very grateful for all your hard work and dedication. You really made this process easier and enjoyable for us. Thank you very very much!" "I really appreciate Bettina Reid Group's work. I like Bettina's personality. She is always patient and always provide professional knowledge whenever I have question. She has excellent judgment about the market. She will think everything for you. I don't need to do anything but trust her. I would highly recommend to anyone." "We knew previous clients of the BRG as well as doing an online search. Bettina replied to our initial email promptly and met with us soon after that. We were impressed with our initial meeting and Bettina's plans to market our home. We appreciated how Bettina was not only business focussed, but extremely personable as well. We worked hard to create a beautiful home & hoped that our agent would recognize that. We believe the BRG did understand how much our home meant to us. Very punctual...patient.....approachable....attentive... Never an issue with communication or scheduling difficulties etc..
Bettina always made time to address any questions or concerns we had without making us feel rushed. We were very pleased with Bettina during the entire process of selling our home. I wouldn't hesitate to recommend the BRG to anyone selling their home or purchasing a new one!" "Bettina was not only a lovely person, but she quickly discovered exactly what I was looking for, and helped me to find it. I found her to be available when I needed her, and gave me the best of advice in purchasing my new home. I am very grateful I had Bettina on my side. I would definitely use Bettina again. Hopefully in the near future." "The Bettina Reid Group made the sale process seem so much easier than past experiences, We would highly recommend this agency and the Bettina Reid Group to anyone looking for the right team for all real estate transactions." "We are very happy to have service from them and want to introduce to our friends. They are very professional. Thanks." "Having worked with Bettina previously on the sale of our home and purchase of a new home in 2012, we knew we were in good hands as we retained Bettina to sell that new property and locate the perfect home for us in 2014. She came through for us yet again. Good job Bettina. Thanks again." "Bettina was recommended by a friend who said she was the best realtor he had ever dealt with. Bettina made herself readily available at all times and was always willing and able to assist us with whatever concerns we had. We would highly recommend her to anyone." "We found Bettina was very personable and honest and answered our questions and addressed our concerns in a professional way. We had a great experience selling our home and I would recommend The Bettina Reid Group to family and/or friends!" "They are apart of the future of reality. They have all the technology to get the job done with out having to meet with you every time you need something signed. Very polite and down to earth. Great bunch of ladies." "Working with Bettina was great in all aspects in our new home purchase. As first-time home buyers we had lot of concerns and questions. We for sure didn't want our agent to be pushy. We never felt rushed or any sales pressure when dealing with Bettina. Bettina has exceeded our expectations and was exactly what we were looking for in a relator. She made the entire process of home buying a very enjoyable and memorable experience. Bettina guided us through the house hunting experience with care and consideration for our needs and financial abilities. She was respectful, listened to us and understood what we had to say. Bettina truly understands the market and worked tirelessly to produce positive results. She was very responsive whether it was an email, phone or text and always got back to us right away. Most of the paperwork was done digitally, which is a great time saver, especially when adjustments to the contract needed to be made. When we finally found the town house we wanted to bid on, Bettina provided us with all the details and data of the sales prices in the area, so we could make an informed decision. We also would like to thank Kara Berman a member of the Bettina Reid Group, who was very friendly and extremely helpful as well. In our opinion, Bettina and Kara make a cohesive, productive and efficient team. It was very obvious to us that they enjoy their work and working together. If you are looking for a real estate agent, you need to meet Bettina and Kara. 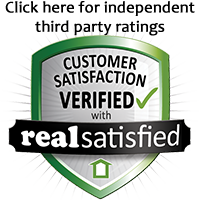 Their calm warm and friendly demeanor will put you at ease and make your home buying experience wonderful." "The purchase of my new home was made easy by The Bettina Reid Group. All went smooth and well co-ordinated and that is why I trusted them when my daughter was ready to become a first time homeowner." "We were so happy with the professionalism of Bettina and Kara. Kara was fabulous. We would highly recommend her." "We chose Bettina as our realtor for 2 purchases and one sale. She was always there for us providing answers to questions and she offered sage advice. She was invaluable in the sale of our home. She uses technology to it's utmost to serve clients and the exposure we had in the sale of our home was exemplary! Sold in no time fast. Her personality is warm and engaging and a sharing a few laughs with us made what could have been stressful quite an easy process. Kara Berman provided back up support to Bettina and our experience with her was also excellent. She is a knowledgeable realtor who offered outstanding support. Between Bettina and Kara, I would HIGHLY recommend the Bettina Reid Group for anyone looking to buy or sell!" "Working with the Bettina Reid Group was a great experience. Bettina is extremely knowledgable about the local market. The whole experience was made exceptional by the extra effort she puts into providing real customer service." "The Bettina Reid Group's knowledge of the market area was impressive and they presented us with a valuable sales package at the start. The staff working for The Bettina Reid Group were always pleasant and professional. Very positive about our home and its potential to sell. I would highly recommend The Bettina Reid Group to anyone interested in attaining an agent for the purchase or sale of their home." "We needed to sell our home quickly and felt that we were in great hands with the Bettina Reid Group. They always came prepared with necessary paperwork pre-prepared that saved valuable time so that progress was never delayed. They worked very quickly to get our home on the market and presented our home as if it were their own. With the great advice we were given on how to present our home, we managed to sell within 2 days of it being on the market. The Bettina Group was always timely communication, and was always present for key events in the sales process. We wouldn't hesitate to recommend them to others." "The Bettina Reid Group went beyond my expectations considering I have had awful experiences in the past from different Realtors. They were so professional and reassuring from the beginning I was quite literally putting my life in their handsI will certainly recommend the Bettina Group to my friends and family in the future and also definitely use them again if the need arises." "The Bettina Reid Group provided excellent service from beginning to end in the sale of my father-in-law's property. With great confidence and competence, we were in good hands throughout the process. The sale went through quickly and smoothly to our satisfaction. Would certainly involve the Bettina Reid Group again if we were ever to buy or sell real estate in the South Surrey / White Rock area." "We would like to thank Bettina so much for her hard work, sensitivity, and professionalism. We appreciated her integrity and efficiency throughout the entire process. We completely trusted her and we don't take that for granted"
"Bettina and her team were the most professional we have ever encountered. We have sold homes in Canada before but have never come across anyone so dedicated before in selling our home. Our entire realtor experience with Bettina and Kara was exceptional and very professional. From the onset, everything was explained in detail and as we were making a long distance move, we were able to easily and with peace of mind negotiate with her and prospective buyers virtually, it made for an easier and calmer transition. Bettina marketed and displayed our home on the web, through the mail,and we were constantly kept in the loop as to how well it was been visually toured on the web and called about. It was for us important to know that it was not going to sit on the market for a long time, as Bettina was working to get it sold. She did not at any time pressure us to reduce the price on our home, she was always available to take a call, and if for any reason it went to voice mail, she promptly returned our calls. We can't say enough about Bettina and her team, we would highly recommend her without hesitation and have already done so! Words can't describe the professionalism with which Bettina cares about her clients. She goes above and beyond her "job" she not only was our realtor but a new friend, that's the kind of person she is, one that we really enjoyed welcoming into our home, and trusted! Our home sold quickly and within our asking price." "Buying and selling a home is obviously not an every day occurrence for many families. It is very important to have a realtor there to guide you through the process. Our situation of making an offer and then waiting for our home to sell was very stressful. The Bettina Reid Group was there to meet all our selling and purchasing needs. They showed patience and understanding when we were concerned and answered all our questions in a very reassuring and timely manner. The professionalism and attention to detail that we experienced was truly appreciated. If you are thinking of buying or selling...contact the Bettina Reid Group...you will not be disappointed. Thank-you Bettina Reid Group for our AWESOME new home!!!!" "I have used the Bettina Reid Group twice.  I would strongly recommend them for their professional, knowledgeable, and fantastic attitude! They are easy to work with, consider what you want and need, and will find it. You know with them, they are there to support you and will help you through every step of way. We never felt pressured, or left hanging. They are simply the best!" "The Bettina Reid Group was professional and knowledgeable about the Real Estate market and her ability to use up to date technology was impressive and effective. We were kept up to date on all showings and she took a personal interest in us and the sale of our house. She monitored all the MLS showings and tried extremely hard to get feedback even though at times all agents were not as efficient in this regard. In her presentation of our home through the paper brochure and the on line presentation the Bettina Reid Group made us feel she understood how much pride we had in our home and respected our feelings. We would definitely recommend the Bettina Reid Group to our friends and relatives." "Bettina was very understanding and respectful of the special needs we require. Everything was done on time. Thank you for all your help and understanding."